Illuminizers add a little extra shimmer to bring out that fresh-faced, healthy glow. 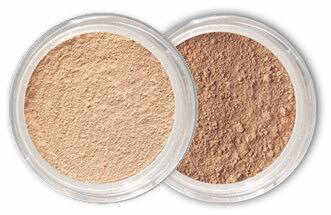 Radiant is a great match for those with lighter skin tones. Lasted through a 7 year old's birthday party and then some! I put on my new makeup the morning of my daughter's 7th birthday party. I had a house full of guests to get ready for and, as usual, I was running behind. The first thing that I would like to note is how easy it was to apply using the Kabuki brush. Unlike liquid foundation that I used before I didn't have any messy makeup left on my hands to wash off. I applied to the foundation and the finishing powder with the same brush in no time at all. Mineral Shadow in Midnight is the product I would buy. I switched to Mineral Hygienics about a year and a half ago. I will not use any other foundation. This stuff is amazing. Wearing it everyday (and I go for full coverage) the full size will last me 4 months. That's a really long time ... I think the liquids never lasted more than a month. Plus the match is so much closer to my natural skin tone and texture. I cannot say enough good things about this makeup! I've used many foundations throughout the years; liquids, and powder minerals. Mineral hygienics has been far superior to all the others I've tried. And I have been involved in the cosmetic industry for many years. You will love this product as much as I do! up to all the good reviews I've read on various websites. I have oily problem skin but the staying power of MH is really good, even in hot and humid Singapore where I live and without me using any primer or finishing powder! It blends really well and gives me a soft glow. I thought Everyday Minerals was pretty decent; it was good for my skin but unfortunately had little staying power. Now I wish I had found out about MH earlier! I'm going to get some for my best friend who introduced me to mineral makeup and who is a loyal fan of Bare Minerals (it didn't work for me, causing my skin to itch and break out); she does not know what she's missing!! Thank you MH and kudos too to your customer service team who were prompt and most helpful in answering my queries!